Can there be a more warming, comforting flavour than butterscotch? It's a timeless flavour that makes it a family favourite across the generations. 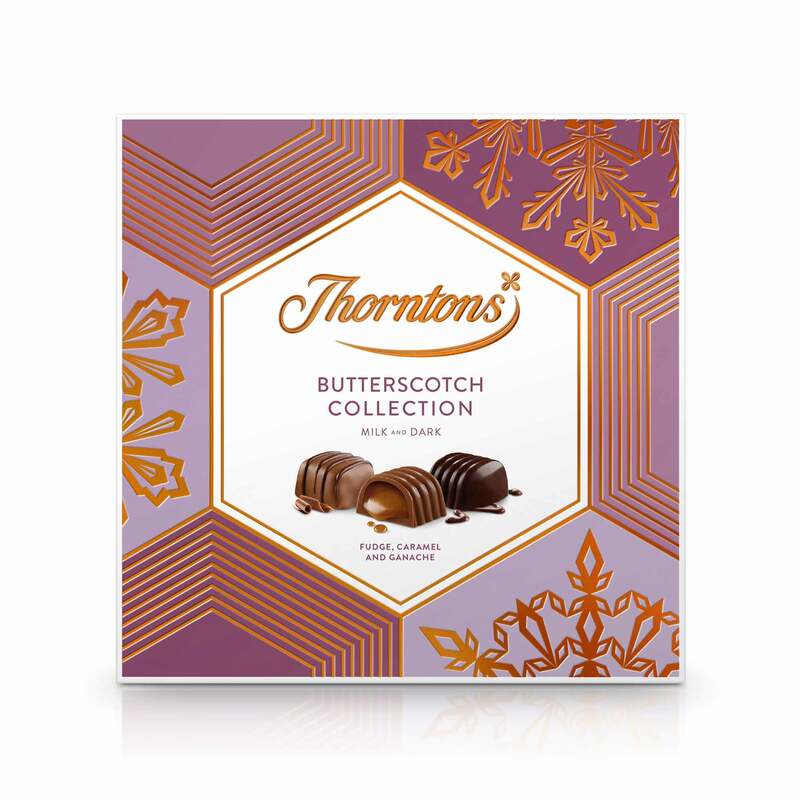 Delicious and moreish, our Butterscotch Collection is a perfect treat for any home as the nights draw in and the temperature drops. Whatever the occasion - Halloween, Bonfire Night, Christmas or just an indulgent night in - these chocolates will make you feel all warm inside. 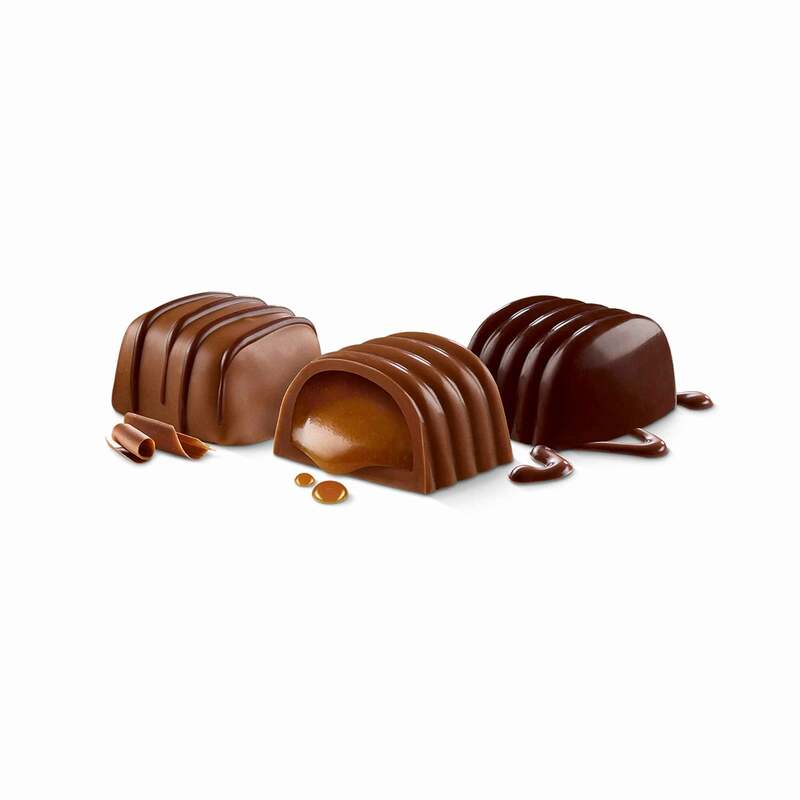 Choose between the Salted Butterscotch Ganache, the Butterscotch Fudge or the Butterscotch Caramel. Sugar, cocoa mass, double cream (MILK), dried whole MILK, cocoa butter, glucose syrup, invert sugar syrup, butter (3.5%) (MILK), sweetened condensed milk (whole MILK, sugar), palm oil, MILK fat, treacle, emulsifiers (SOYA lecithin, E471), humectant (sorbitol), fat reduced cocoa powder, flavouring, salt, dextrose, sea salt, dried EGG white, MILK protein.